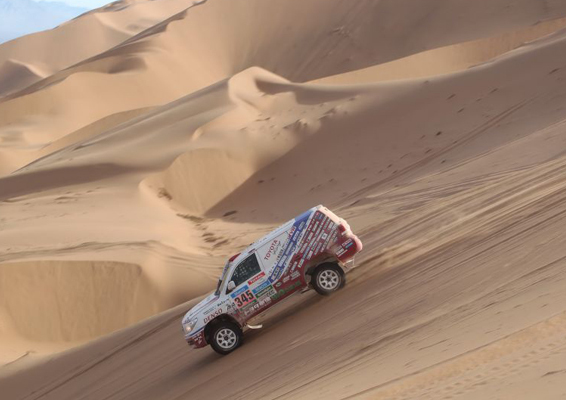 The 2015 Dakar rally has come to a close with Toyota Imperial’s Giniel De Villiers and co-driver Dirk von Zitzewitz claiming second position in their Toyota Hilux. The Toyota Land Cruiser achieved an equally impressive result, coming 1st, 2nd, 3rd, 4th and 5th position in the diesel cross-country series production category. Leeroy Poulter and co-driver Robert Howie in the Imperial Team South Africa Hilux demonstrate how to take on a jump at 130kph. Dakar 2015 made its way across some truly breath-taking scenery. Stage 2 was no exception, seeing the drivers navigate across Argentina, from Villa Carlos Paz to the city of San Juan. Sand dunes are synonymous with the Dakar rally. This year the huge dunes did not disappoint; drivers were required to carefully navigate their way across the mountainous environment as quickly as they dare. 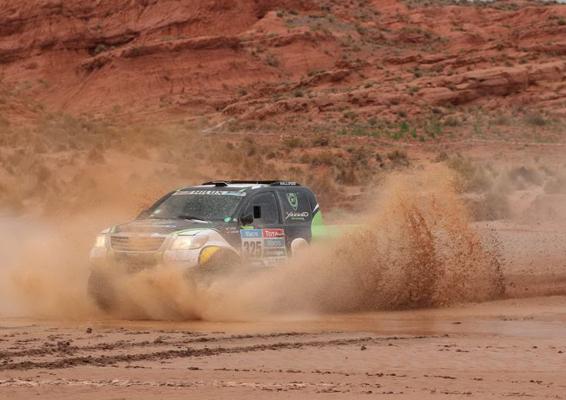 Speed is of the essence during the Dakar rally. 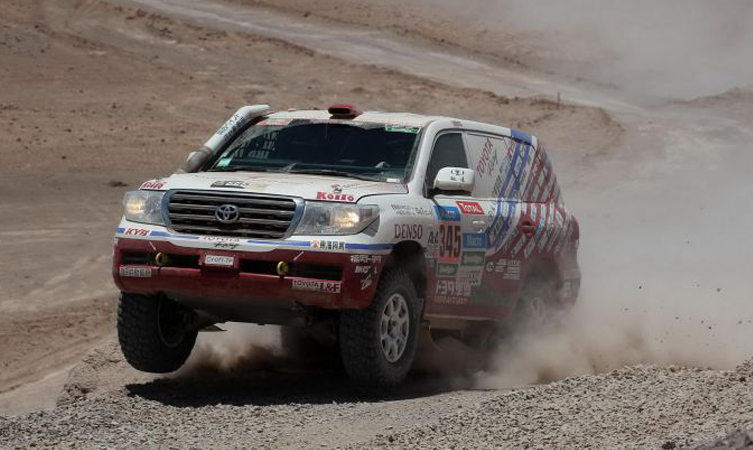 Thankfully the 45 Toyota vehicles taking part in the 2015 Dakar were not only fast, but were also extremely tough; all capable of speeding down rough dirt tracks at speeds in excess of 100mph. Stage 8 of the rally was originally planned to be run around the perimeter of the Salar De Uyuni, the world’s largest salt flats, however at the last minute it was decided for competitors to cross instead. Five vehicles at a time lined up side by side and raced flat out across the 100km pans. Each of the top running vehicles were travelling at speeds of 175-183kph as a result of the high altitude and air quality restricting engine performance. Imperial Team South Africa driver, Giniel De Villiers in the Toyota Hilux made a decision to get up behind competitor Nasser Al-Attiyah’s Mini and give him a nudge, this slip streaming technique gave the two an edge over the other three drivers, taking them up to 196kph and to the front of the pack. A rally isn’t a ‘rally’ without masses of dirt caking the competitors vehicles. Here are some fantastic examples from this year’s Dakar as to how best to navigate your way through some very large puddles, getting extremely filthy in the process.